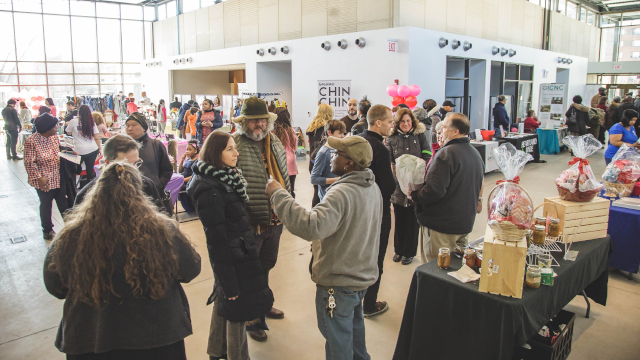 Microenterprise development is a process of supporting emerging entrepreneurs, through training, technical assistance and access to capital, to develop and grow small businesses. 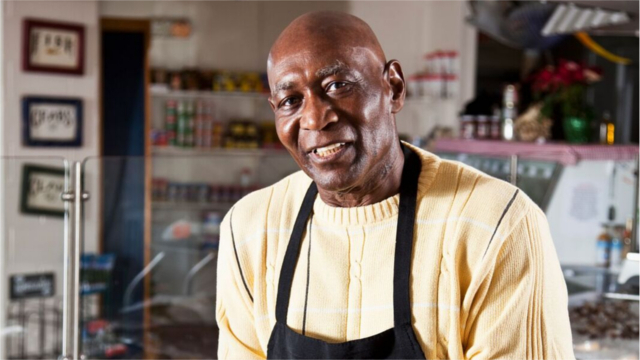 Microenterprises by definition employ fewer than five people and require $35,000 or less in lending capital. The entrepreneurs typically do not have access to the traditional banking sector and are often economically and/or socially disadvantaged. Many lack prior management or entrepreneurial experience. In starting their businesses, entrepreneurs have varied goals, and these goals in turn affect the types of businesses created. Some are pursuing self-sufficiency strategies in order to rise above poverty and, as such, are often interested in income “patching” to supplement household income. Others are interested in strict self-employment, often looking for a stable source of household income that allows for independence and flexibility, including the ability to care for dependents. Still others are interested in growing businesses and are in business sectors that allow them to start their efforts with relatively low capitalization rates. Similarly, microenterprise development programs pursue different goals and strategies depending on their mission and target groups. Some are focused on entrepreneurial training, while others are engaged primarily with lending. Some have a business and economic development mission, while others define their efforts around alleviating poverty and improving access to economic opportunity for the poor. Some are focused on the development of particular geographies, including economically depressed urban or rural areas, while others target services to traditionally disadvantaged populations, including women, minority groups, or recent immigrants and refugees. While all use the same tool of microenterprise development, they serve different customer segments and vary in their expected outcomes. 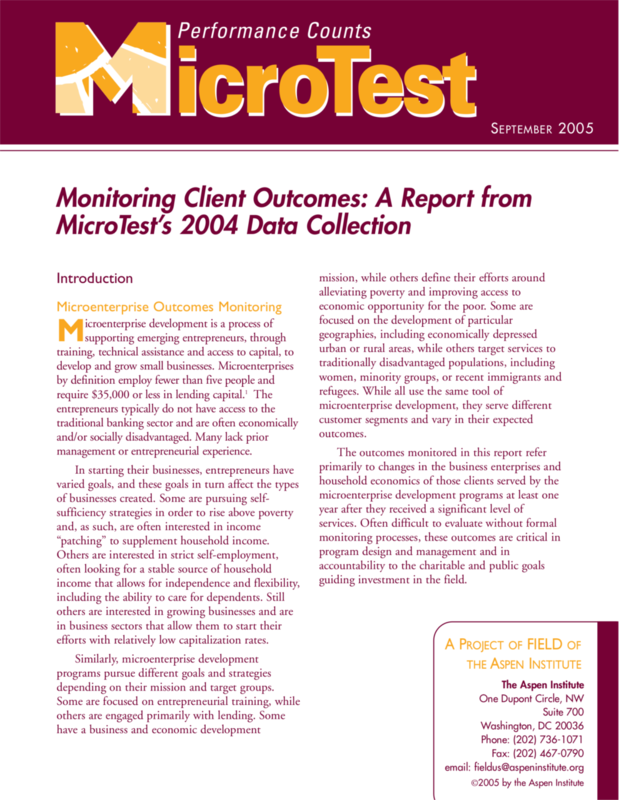 The outcomes monitored in this report refer primarily to changes in the business enterprises and household economics of those clients served by the microenterprise development programs at least one year after they received a significant level of services. Often difficult to evaluate without formal monitoring processes, these outcomes are critical in program design and management and in accountability to the charitable and public goals guiding investment in the field.